Believe it or not, an average refrigerator can last around 10 -13 years, if it is properly maintained. This is great news for you especially when you invested a hefty sum at the time of its purchase. However, much to your dismay, you find your useful appliance break down only after five years. Be it for some issues in the cooler or leakage in the water dispensary, you being the owner of the appliance, will need to maintain it appropriately. The Worse Thing Which Most Homemakers Do Is Repair Their Fridge By Some Local (unlicensed) Repair Shop, Only To Find The Problem Reoccurring, Along With A Few Other Issues. Doing so will leave you frustrated and compels you to replace it with a new unit. Simply speaking, you end up spending way more than necessary, and that is never good for your sake. What Could Be The Best Way To Extend The Efficacy Of Your Refrigerator? The answer to this riddle is going for licensed fridge repairs in Sydney CBD and allowing them to have a long hard look at it. They are Thorough in Cleansing and Maintaining: These pros will come to your house and check the condition of your fridge. And depending on its condition, they will clean it and even help remove the bad smell coming using their industry-approved solutions. As for maintenance, they will examine the unit’s coil and clean up all existing dirt accumulation. A clean coil plays a crucial role in the cooling efficiency of your unit, and if you have pets, then these pros will remove their hair or filth comprehensively and reduce the stress on the compressor and coil. They Will Check Both Room and Fridge Temperature: According to seasonal changes, the temperature of your fridge fluctuates. What these pros will do is place a thermostat right in the centre of the shelf and check if the inside temperature is under 400 F. Plus, they will also inspect if the room temperature is too hot or too cold. One rule of thumb is to keep your refrigerator away from high heated sources. These professionals know that, and they will see whether your unit’s condenser is forced to kick into high gear. They will do some tune-ups to your condenser and also help you pick a different spot to keep your unit (someplace cooler so that it doesn’t have to use too much of energy). They Will Examine Your Unit’s Water Filters: Another crucial fridge maintenance tip is checking the water filters. With time and more use, the air filter traps lots of dirt and contaminants. You can get rid of this issue by taking up an air filter replacement package and allowing these pro repairers to take charge. They Will Also Change the Rubber Seal: Lastly, that plastic piece of lining you see at your refrigerator door plays a crucial role in influencing the efficiency of your unit’s cooling. It is also known as the gasket which helps keep the unnecessary warm air from getting inside. With consistent opening and closing, it is only natural for this rubber seal to lose its suction. And when this crucial sealer starts degrading, the cooling capacity of your unit will also dip, unless you get it replaced with experts. Individuals presenting fridge repairs in Campbelltown will change the door sealer and ensure that your unit doesn’t consume too much of electricity for cooling your items. These are some of those surefire ways by which you can extend the lifetime and cooling efficacy of your refrigerator. 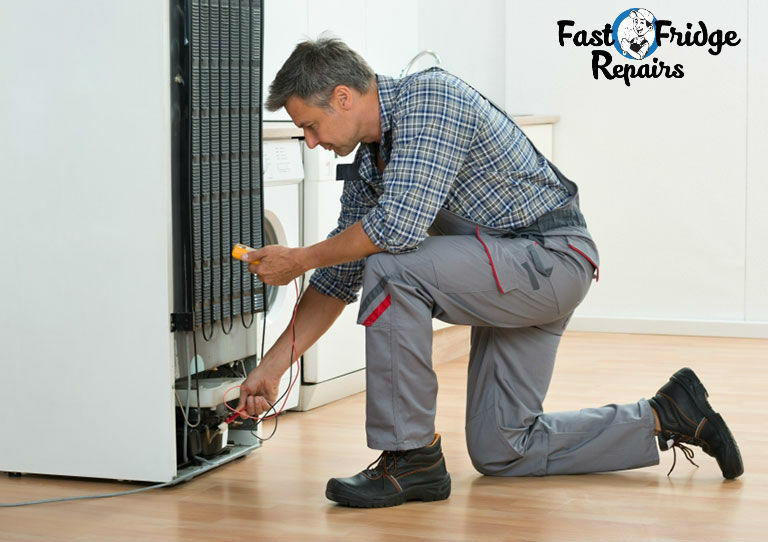 Now that you know find a licensed fridge repair company and set up a deal. It Will Be The Best Decision For Your Refrigerator.